Almost 140 years after the invention of the first turntable, probably its most technologically advanced incarnation appeared. 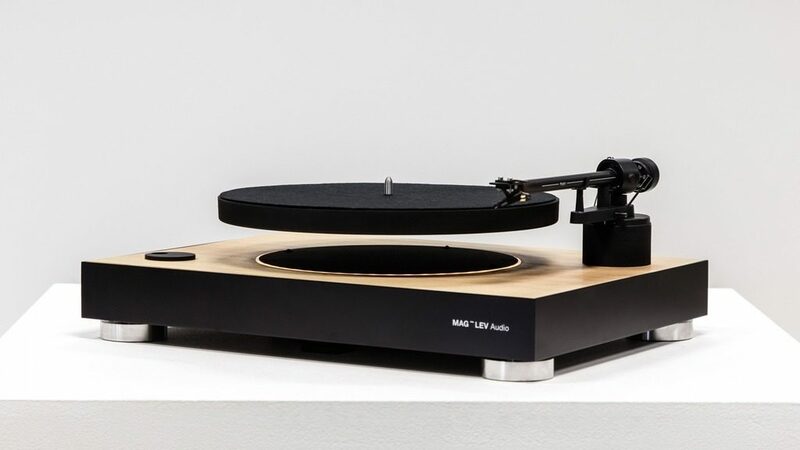 MAG-LEV Audio is the first record player in the world to stabilize vinyl records during playback used magnetic levitation. With this, the device gramophone record graded on a tray and an ordinary turntable, but before turning the base tray retracts into the body and leaves it in a levitating position. 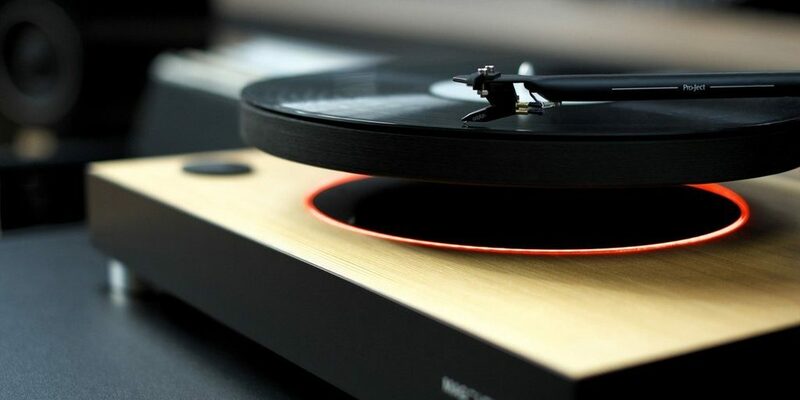 In addition, MAG-LEV Audio works like any other turntable – the needle on the record is set manually, and after playing it automatically returns to its original position. An actuating mechanism and the technology behind it are patented. The inventors of the device say that ensure not only stable levitation, but also very precise spinning of the record, through a series of electronic sensors. This interesting device is a product of the Slovenian team of designers and engineers gathered around the Desnahemisfera studio. The same team from Slovenia already have a successful crowdfunding campaign – one for Goat Story Coffee Mug machine. Wednesday, October 12, the date of the official start of the campaign MAG-LEV Audio on Kickstarter, after which the promotion will be active the next 40 days, the world will finally be able to see the first levitating turntable. We wanted to take something that is very close and then re-discover a whole new way. We wanted to change the way things work. For months we have explored what it might be and then we asked the question, which is at first sight a bit crazy. What if the panel, which levitates in the air could produce sound? Inspired by curiosity, we decided to answer the question. Today, our team of enthusiastic, experienced individuals from various fields, from design, engineering to manufacturing and logistics. Design studio Desnahemisfera, who were part of the campaign Goat Mug on Kickstarter 2015, merged forces with Topsolom, a company that develops advanced solar technology with the aim of supplying the world with green energy. We believe that the way you listen to music sometimes as important as her choice. Join us on Kickstarter and together with us to change the experience of listening panel. Please help us and spread the word about the first levitating record player in the world. The device of the future for a media of the history, designed for people who appreciate when premium audiophile sound meets elegant, unique and innovative design. Turntable factory comes with a tonearm and a head that, through the audio input, is connected to the speakers. Choose your favorite plate, put the lever in position and release the lever. Then the situation experience a superb music experience, combined with excellent experience levitation. The turntable also has a pin platter that allows him to lie stable until the turntable is not used. Pin automatically hide when the turntable starts. The kit comes with an adapter for 45 rpm and is easy to change between 33 and 45 rpm so that they can listen to selected music no matter what sort of records you have. To keep the records in the best possible condition, the turntable automatically rises tonearm at the end of the playing. In this way protects the record of scratching, but also prolongs life of phono head. MAG-LEV contains the UPS system which protects the record due to a sudden power failure and allows plenty of time to stop the record and turn off the record player. What kind of magic do you use? The magic happens in the operating system. Using innovative, patented technology, we managed to achieve magnetic levitation and at the same time keep incredibly precise spinning of the record. Air is finest possible medium with a minimum of friction and this project was raised listening to music on a really magical experience. In short, stop by on Kickstarter and help! What Is The Best Record Player With Bluetooth ?